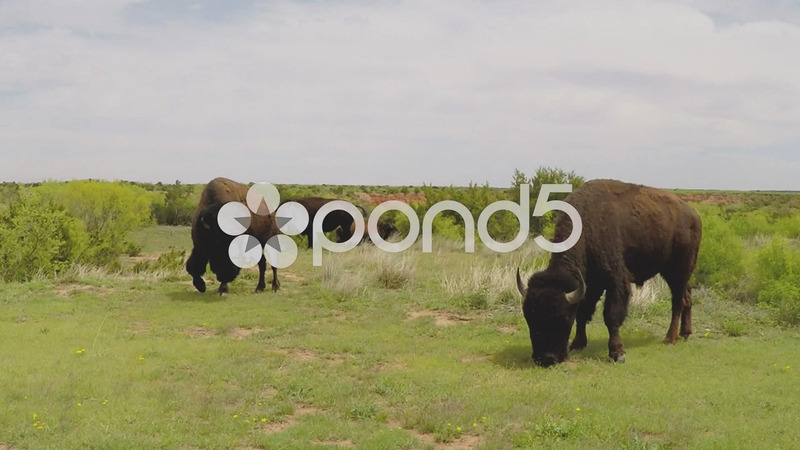 Description: Medium shot of buffalo grazing on green grass at Caprock Canyon State Park. Bison keep busy and keep their heads down chewing and eating grass all day long. Part of a series of clips by ChromaVid featuring nature and wildlife stock video.